OPPOSITION parties at Holyrood have called on the Scottish Government to obey findings of the elections watchdog later this week after reports that Alex Salmond’s proposed question for the independence referendum will be rejected. The impartial body is due to deliver its findings this week and reports say it will reject that wording, amid concerns that it is a leading question. It has been suggested voters should instead be asked simply: “Should Scotland be an independent country?” in the historic poll next year. Opposition parties at Holyrood warned yesterday that a failure to follow the commission’s advice could see the SNP accused of trying to “rig” the ballot. The head of the official Yes Scotland campaign, Blair Jenkins, also said at the weekend that ministers should obey the findings. It is understood the Electoral Commission tested four questions through pollsters and found a problem with the SNP’s preferred option. Although the Scottish Government has said it will listen to the advice of the commission, the SNP-dominated parliament at Holyrood will make the final decision. The Nationalist administration is already on a collision course with the Electoral Commission over plans to impose strict campaign spending limits amid concerns the SNP could be outspent by its pro-Union opponents. The government will unveil its referendum bill at Holyrood in March, which will include the question that Mr Salmond intends to ask voters and the rules on spending limits. Scottish Liberal Democrat leader Willie Rennie said yesterday: “On this occasion, Alex Salmond would be wise to listen to the advice of his Nationalist colleague Blair Jenkins. The commission has already stated that voters should be able to “easily understand” the preferred question and its implications. It will publish its assessment of the questions on Wednesday, along with a research report and a summary of the evidence it has gathered so far. Labour’s Patricia Ferguson said: “The referendum must not only be above any suggestion of rigging or bias, but be also seen to be above any such suggestion. Scottish Conservative deputy leader Jackson Carlaw said voters must be presented with a “fair and precise” question when making a decision on leaving the UK. “There is no question the independent Electoral Commission is the most appropriate body to to carry out this exercise and their conclusions should be fully respected,” he said. “Everyone agrees with this view, including the man in charge of the SNP’s independence campaign. Mr Jenkins also said at the weekend that ministers would have to abide by the commission’s findings on the question. If they propose any change to the question the Scottish Government puts forward, I am sure they will provide extremely good evidence why it needs to change and at that point I think it would be difficult to argue against that,” he said. Responsibility for running the referendum rests with Holyrood. Constitutional matters are normally controlled by Westminster, but the “Edinburgh Agreement” between Mr Salmond and Prime Minister David Cameron last October saw control handed to the Scottish Parliament for the referendum. The SNP was forced to agree to a straight “Yes-No” question, ruling out a third option on more powers for Holyrood. A Scottish Government spokeswoman said: “Scotland’s referendum will be run to the highest international standards of fairness and transparency, and we look forward to receiving the Electoral Commission’s views. The SNP is also concerned about a proposed £1.5 million limit on campaign spending, along with additional spending for the pro-Union parties, in the crucial “restricted period” of the last 16 weeks before the vote. The £1.5m limit is backed by the Electoral Commission, but the SNP is set to slash that figure amid concerns that its pro-Union opponents will be able to outspend them. Deputy First Minister Nicola Sturgeon revealed last year that this was the key stumbling block in negotiations with the coalition before the Edinburgh Agreement was sealed. The independence campaign has a £2m campaign war chest after a £1m donation by lottery winners Colin and Chris Weir and a similar bequest from the late makar Edwin Morgan. The SNP says there should be just £750,000 for the two main campaign teams and £250,000 for each political party during the restricted period in the weeks leading up to the vote. 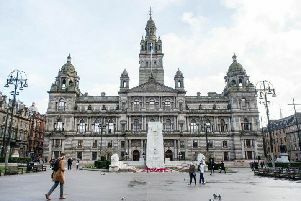 However, the commission has said the two main campaigns should be able to spend “at a level closer to the total spending limit” at a Scottish Parliament election. At present, this is set at £1.5m. The wording of the question Scots will be asked next year has been among a series of fiercely contested rows over the independence referendum. Alex Salmond was keen to see a third option on more powers for Holyrood remain on the table during negotiations with the UK government last year. But the coalition was adamant Scots must be asked a straight “Yes-No” question to resolve the issue, insisting more devolution could be discussed after Scotland’s membership of the UK is settled. In the end, the SNP agreed to one question, in order to secure control over staging the vote. The coalition had to transfer this from Westminster, which has authority over constitutional issues, via a special Section 30 order. However, the deal also saw Salmond win some concessions. Sixteen- and 17-year-olds are being allowed to vote in the referendum, even though they cannot vote in council or national elections. Nationalists believe the younger generation are more inclined to back change, although there is little polling evidence to support this. The referendum will also be held in the aftermath of the Glasgow Commonwealth Games and Ryder Cup at Gleneagles, as the SNP attempts to capitalise on a wave of optimism expected to sweep the nation. The pro-Union side wanted the poll held this year. The funding was also a major stumbling block, amid SNP concerns that a £1.5 million allowance could see it outspent by its pro-Union opponents.